Spinach has a lot of provitamin A, B vitamins, vitamins C, P, PP, D2. Spinach is rich in mineral salts, in particular, with iron compounds. In terms of protein content is second only to green peas, young pods of beans and meat. Is the champion in the content of iodine, which invigorates the spirit and protects against aging. And what is important: all these useful substances are resistant to cooking and canning! 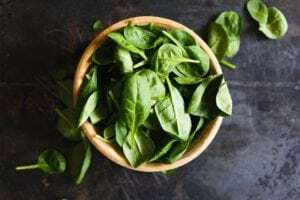 Spinach has a lot of oxalic acid, so you need to limit its consumption by children, people suffering from kidney stones, gout, liver and gall bladder. 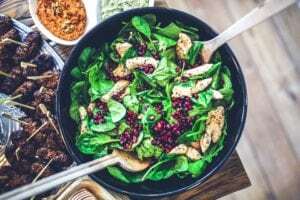 However, they say that during cooking this acid is neutralized by the addition of milk and cream, and in fresh spinach leaves it is not at all scary. Young spinach is good to eat raw in salads and in dip-based sauces, and older, coarse leaves are boiled, fried and stewed. Unwoveled spinach wrap in a damp cloth and store in the refrigerator for no longer than two days. Before use, rinse it and cut off the dried parts. For longer periods, spinach should be frozen. Spinach has many valuable flavor properties. But, I suspect, the main thing, for which it is appreciated by cooks – is a persistent emerald color, which is not afraid of any heat treatment. It is noteworthy that when cooking spinach in a saucepan do not add liquid! Before preparing fresh spinach, it is washed, cut and placed in a pan with a lid without water. Keep on fire for several minutes, turning over several times. Then drain the released moisture and wring it through a sieve. Spinach goes well with bacon, nutmeg, cream, cheese, cedar nuts, tomatoes and natto. Dip the spinach leaves for a few seconds into boiling water. Prepare the filling. Fry in a deep frying pan the chopped onion until golden brown. Add the minced meat to the frying pan and fry for about 5 minutes. Then add the rice and continue to fry for another 5-7 minutes. Wrap the mince into the spinach leaves. Fold the resulting cabbage rolls in a pan in rows, sprinkle finely chopped onions and greens of dill, pour warm water to the level of the penultimate row of cabbage rolls, pepper, salt and cook over low heat. When the rice is almost ready, add mixed with butter, lemon juice and put the pan, without covering the lid, in the oven. Serve with fresh sour cream. Rinse the spinach leaves with running water, pour into a colander, pour over the boiling water and wring out excess liquid. 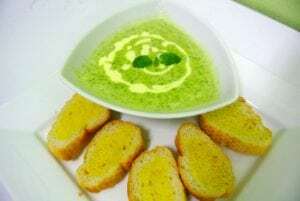 Do this with a knife until the greenish juice begins to appear. Grind the spinach almost to a homogeneous mass. Heat the cream in a deep frying pan over low heat, add butter, salt, pepper, add sugar, lemon juice and mix thoroughly. Why start slowly add the spinach mass to the sauce, stirring constantly. When the sauce boils, remove from heat.